James Morrison is back with his second album. Will it be a classic case of sophomore slump? Pure, honest lyrics that speak from the heart and are all too easy to relate to. 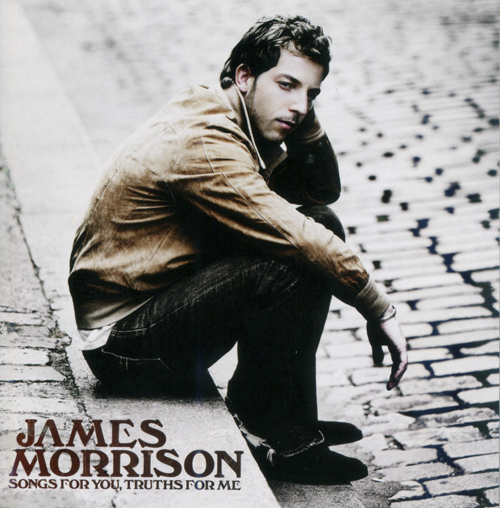 That’s what you get in James Morrison’s eagerly-anticipated Songs for You, Truths for Me. The 24-year-old British bloke says of his second venture, “I’ve called the album Songs for You, Truths for Me because that’s what I feel it is. Fans of his raw voice and mellow tunes will love tracks like single “You Make It Real”, bluesy number “The Only Night”, and “Broken Strings”, a collaboration with Canadian star Nelly Furtado. James’ got discovered in the music biz after the release of his 2006 debut album, which was titled, ironically, Undiscovered. He shot to fame with five hits, including “You Give Me Something” and “The Pieces Don’t Fit Anymore”, both of which were inspired by Gill. The debut album, which has sold over 2 million copies worldwide, has bagged him titles like biggest selling British male solo artist in 2006 and Best Male for the 2007 BRIT Awards – great success for someone who was only 21 at that time. And his musical talent just keeps growing – Songs for You, Truths for Me shows him to be a wiser man than he was 3 years ago. Whether you’re looking for soulful tracks for slow dancing with your partner, or backdrop music for moments of self indulgence, you’ll find them in James’ easy listening tunes.